Despite clinching victory with a depleted squad the week before, Guiseley’s injury concerns began to show last weekend in their 3-1 defeat at home to Fylde in FAWPL North. Former Vixens defender Olivia DaCosta returned to Nethermoor in Fylde colours this time and her old club Guiseley were chasing the game almost from the off with Fylde scoring after just three minutes. And it proved too much for the Vixens, with Maria Ledesma-Viso’s goal coming as a mere consolation with Guiseley looking to regroup after a first league loss since October. Leeds United also suffered a 3-1 home defeat to cast their strong recent run into memory. Holly Findlay’s early goal did give them a half-time lead over Chester-Le-Street Town, but the away side came back strong to seal the victory and make it two successive defeats for Leeds in FAWPL North Division One. Brighouse Town climbed above Leeds into fourth, with Charlotte Proud’s impressive hat-trick seeing off Norton and Stockton Ancients 3-0. Elsewhere, limited league action in the West Riding divisions saw another Leodensian side lose 3-1 at home, with Leeds Medics and Dentists suffering defeat to Tingley Athletic in the Premier Division, scoring through substitute Aimee Lewis. Meanwhile, rock-bottom Leeds City scraped a 1-0 victory over Tyersal in the First Division to continue their hopes of survival. Leeds United Development moved top of the Second Division after a dominant second half saw them win 6-2 through Molly Bridson (3), Katie Astle, Megan Smith and Katie Breckin, while Phoenix cruised 5-1 at basement side Garforth. 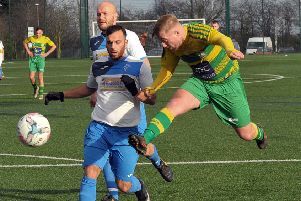 The West Riding League Cup quarter-finals saw goals galore, as First Division leaders Lower Hopton destroyed Premier Division leaders Hepworth United 7-0, with five goals from Dani Anthony and further strikes from Ashlee Brack and Ashley Hinds. Farsley Celtic Juniors beat Yorkshire Amateur 4-1 while Brayton Belles squeezed past Huddersfield Amateur 4-3. 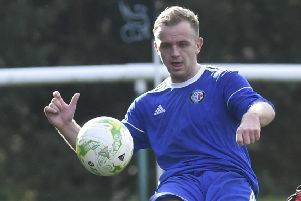 More quarter-final action in the League Shield meanwhile saw Farsley Juniors’ reserves beaten 1-0 by Boroughbridge, while Rebecca Gill’s goal was all Ilkley Town could muster in 4-1 defeat to Brighouse Athletic. First Division title challengers Ripon City strolled into the semis, overcoming an early Louise Ross goal to beat Pontefract 5-1 through Elizabeth Weatherill (2), Louise Wilson, Emma Douglas and Sarah Cross.